If you want to join in with making an A to Z of Me Journal through the month of February click through to the Challenge blog. Here on this blog I am going to share how I made the cover of my journal. The cover of the sketchbook I used is black. I painted over the whole thing with white gesso and when it was dry I used black Archival Ink to stamp with. However I forgot to take a photograph before I painted over the whole thing with acrylic paint. I used a large stencil to wipe away some of the paint. Then I stuck some letters on from my scrapbooking stash. I may go back to it and put a border around it, not quite sure yet. I hope you have enjoyed our 28 days together. Thank you for following along. Have you signed up for 12 Months In View which starts on March 4th? Here on this blog I am going to share how I made the page for today's prompt on Zeal. The last letter of the alphabet. Today's technique is 'drippage'. I sometimes like to help the drips go where I want them to go so I paint lines with water before spraying the ink. The lines are going across the page rather than down. At this point I was planning on getting lines that I could journal between. I added the pink and helped those lines along as well. I inked the edges of the verse and quote and stuck them down. I stamped the word for today, coloured it in and then stamped the butterfly stamp. I then decided I liked the whiteness of the page too much to do the journaling in between the lines so put it between the verse. Tomorrow I will be showing you the cover for my journal. Congratulations if you've kept up. See you tomorrow. 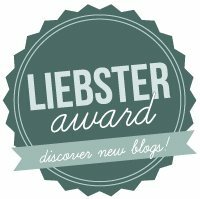 Valerie from Visual Blessings blog gave me this blog award that is about discovering new blogs. Thank you to Valerie for thinking of me. I do hope you will go and visit these blogs and leave some love. Here on this blog I am going to share how I made the page for today's prompt on YES. Sorry about the photo - the sun came out! I stuck my book page down on a scrap piece of printer paper with a glue stick. I put another piece of paper over the top and marked where the page was just so I could practise it with the printer. I used Publisher but you could do this in whatever software you have. I worked out where the photo should go and then did a practise run with the spare sheet. Then I put the book page through the printer. This is a photo of some art work that I did that I had printed as a postcard. I sprayed the yellow and lime onto the page which as you can see buckled somewhat because the page before wasn't totally dry! I sprayed the yellow again over a Crafter's Workshop stencil of wire netting. I stamped randomly with a crackle stamp. I tore the edges of my book paper and inked the torn edges. I inked the verse and the quote and stuck them all down. I stamped the word and coloured it in with a Jellyroll pen. Only one more letter to go and you will have a finished book. See you tomorrow for Z. Here on this blog I am going to share how I made the page for today's prompt on X marks the spot. I frothed up the washing up liquid in a bowl and sprayed some Dylusions ink onto the bubbles. I used some thin card that I use in my printer and it soaked up a lot of the water. I tried also with some mixed media paper from a sketchbook. I found the longer you leave the bubbles on the better the effect. Here's the double page I started yesterday. I added some more pink. The nozzle had gunge up so I actually added drops rather than spray. I dipped these papers twice using the pink and then lime. When they were dry I turned them over and using a stencil drew stars on the back of the paper. It's better to draw on the back because then you're not thinking about where is the best place to draw the star. I cut out the stars and inked them with black Distress Ink and stuck them down randomly. I inked the edges of the quote and verse and stuck them on. I stamped X marks the spot around the edge of the page. I used some sequin waste and a pink Distress Ink to add the little stars. I coloured in the words with the glaze pen. I usually do 2 or maybe 3 coats of the glaze pen allowing each layer to dry. This makes a slightly enamelled looked. I wrote my journaling around the edge of the page. This was a fun page to do. I hope you are still having fun. Here on this blog I am going to share how I made the page for today's prompt on Words. I made a big mistake with this so DON'T do exactly what I did! I cut a piece of card from the back of a sketchpad and found some Thickers. The green set was complete but the white ones had gaps where the letters had been used. This is a great way to use up sets that have all the vowels missing! However think before you start! I covered the card with Matte Medium and then stuck the letters down. I carried on sticking the letters down and left the glue to dry. Have you spotted the mistake yet? I sprayed the page with blue ink and water. And did my closing the book trick again. I sprayed pink and orange on and the colours mixed to produce other colours. I sprayed water through a stencil to get the ghosting effect. When the glue had dried I thought I would check to see if the Thickers would take the Archival Ink and stamped on a spare piece of paper. It worked so I went ahead on my page. Have you worked out what I did wrong yet? I stamped with Archival ink on the page. And then realised that lots of the letters were back to front. So remember you have to stick the letters down the wrong way up so that they print the right way up! It was too late so I just carried on. I inked the verse and the quote and stuck them down over the stamped letters. I stamped the word and coloured it in with a glaze pen. I wrote my journaling on the page following the line of the ink blot. I hope you do better with making your giant letter stamp than I did. Here on this blog I am going to share how I made the page for today's prompt on Humour which is my last catch up page. I put an elastic band around the celery stalks and then cut either side. I was hoping that there would be an obviously different print from the more open stalks inside the elastic band. Instead of printing I thought I would try the ghosting technique as the celery was wet. However it wasn't wet enough and I had to dip it in water and leave it on the page. That wasn't terribly successful so I mixed some bright pink ink with modelling paste and stamped with it. The pink mixed with the turquoise ink to make a purple colour. Here it is in close-up. I stamped the word. Can you spot the deliberate mistake? Well, okay then, it wasn't deliberate the first time. I stamped the wrong side of the first U so then decided to do the second one the same. I used white acrylic paint to stamp the letter properly! I painted the rest of the letters with a brush and the ReInker. I inked the edges of the quote and verse and stuck them down. I'm not thrilled with this page but it doesn't matter. All caught up now. Thanks for stopping by. Here on this blog I am going to share how I made the page for today's prompt on Vision. Here are the two pages side by side with the acrylic paint on. Working on the right hand page I put on strips of masking tape. If you don't want straight lines, tear your piece of masking tape down the middle and straight edges together. I put several strips on. I did the yellow wash again. Then I peeled off the masking tape. I stamped the leaves again and the word. Inked the edges of the verse and quote and stuck them on. I painted the leaves in the same way as yesterday and coloured in the word with a glaze pen. I wrote my journaling in the gaps left by the masking tape. I look forward to seeing the ideas you come up with today.